Jovenes en Camino succeeds through the generosity of its donors, and there are many ways to give. Your support ensures that Jovenes en Camino can continue investing in our boys’ futures. At any time, you can send a donation of any amount to be used for the general operating expenses at Jovenes en Camino. These funds pay for utilities, routine maintenance, fuel, equipment costs, and other regular expenses that every home has, whether in Honduras or the United States. 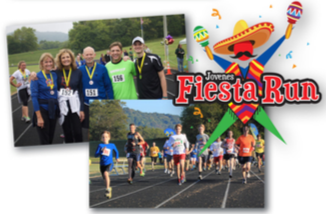 Raising awareness, creating excitement, and increasing revenue, the Fiesta Run is an impactful and fun way to support the work of Jovenes en Camino. Partner with the runners, both in the US and the JEC boys in Honduras, by being a corporate sponsor. The annual Fiesta Run is held in September. 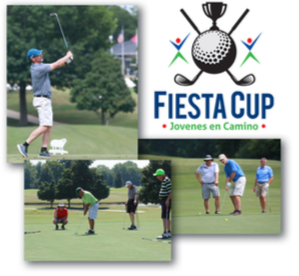 In 2017, the inaugural Fiesta Golf Scramble was held to introduce more people to the good work being done at JEC. Increasing the exposure and sponsor base has been essential to the continued growth of the organization. The 2019 Fiesta Cup is on April 29. Each year, members of the Staff and Board of Directors travel to and from the US, and within Honduras, for various reasons. These trips are vital to the relationship between those who serve in Honduras and those who support them in the US. Your investment towards one of these trips ensures that the administration of JEC, both in the US and in Honduras continues to operate smoothly. Part of the goal at JEC is to be as self-sufficient as possible. The farm is an important way that the staff and boys work toward that goal. The boys milk the cows each morning and evening, which provides milk for the boys and a sustainable source of income, as the extra milk is sold in the village. Along with purchasing more livestock, there is always a need to repair or replace the equipment used to plow and maintain the gardens and fields. Jovenes en Camino is a thriving place with consistent, growing needs, ranging from clinic and school supplies to minor repairs on the buildings. If you would like to contribute to a current special project, we can provide a list of on-going needs and projects.